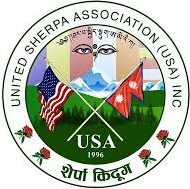 Who are Sherpas – UNITED SHERPA ASSOCIATION (USA), INC.
Sherpa is not only a family or last name. Sherpa is one of the indigenous communities with its own rich culture, unique language, and different way of life predominantly living in the Eastern Himalayan region in East Asia. The word Sherpa is made up of two monosyllabic morphemes shar ‘East’ and –pa ‘Nominalizer’. The etymological meaning of the disyllabic word Sharpa or Sherpa could be ‘Easterner’ or ‘People of the East’, though the reference point for the direction is very general. The word Sherpa is spelled or pronounced differently due to socio-linguistic reasons and natural changes in sounds. For example, Sher+pa=Sherpa, Shar+pa=Sharpa, Shar+ba=Sharba, Shar+wa=Sharwa etc. Though the word is written or pronounced differently the etymological meaning of the word is same ‘Easterner’ or ‘people of east’. Interestingly, the nominizer morpheme –pa/ba/wa is very productive in the Sherpa language (Sherpa, 2009). For instance, lak+pa=lakpa ‘hand’, khang+ba=khangba ‘house’, kom+ba=komba ‘thirst’, ku+wa=kuwa ‘dumb’. In the language nouns or nominal categories derived or formed with the morpheme from other categories. As for many indigenous people living around the world, the Sherpa people have comparatively little written history making it more complicated to trace their origin for some socio-political reasons. However, the pre-history traces that the Sherpa people are one of the ethnic groups residing in the greater Kham region in Asia and were migrated towards west (Oppitz, 1974). Obviously, the ethnic group must have migrated to different locations within the greater Kham region due to socio-political instability before tenth century AD (Lama, 2001). Many reliable references and interesting evidences prove that the Sherpa people were the first inhabitants of the Eastern Himalayan region in present Nepal before the territorial demarcation in East Asia into nations. The carvings of religious texts on the huge rocks and stones; the long standing Mani wall and artful Stupas; old monasteries and the beautiful settlements with unique architecture; the names of every valleys and other places (nomenclature) in Sherpa language; and most importantly the old documents such as Lalmohar are sufficient and living proofs of Sherpa origin land. These Sherpa homelands such as Khumbu, Rolwaling, Khenpalung etc. located in the deep mountain valleys known as Beyuls ‘Sacred lands’ were the Autonomous Region of Sherpa people for centuries before the unification of the greater Nepal in 1768 AD. The history also reveals several cases of invasions on the smaller autonomous states within Nepal, and conflicts on border issues with Tibet, the autonomous region of People’s Republic of China before the demarcation. After the territorial demarcation, the main homeland of the Sherpa people was unified to Nepal and the Sherpa people are one of the nationalities of Nepal with its own defined territory and cultural heritage. Before 1950s, there were very limited economic opportunities in those mountain valleys. Agriculture, animal husbandry, and trans-boundary trading were some of the life sustaining livelihoods of the Sherpa people (Fisher, 2003). Since early 1960s when those beautiful mountains and valleys were opened for outsider, Sherpa people also got opportunity to involve in mountaineering and trekking. The involvement in mountaineering service increased after the successful summit of Mt. Everest by New Zealander Sir Edmund Hillary and Nepalese Tenzing Norgey Sherpa in 1953. However, now much less Sherpa people are involved in the service oriented mountaineering and trekking business. Slowly Sherpa people started migrating and spreading to different regions within Nepal and abroad from their origin valleys in pursuit of better education and diverse economic opportunities. The population census data shows decreasing trend of Sherpa population in Nepal (CBS, 2001; CBS, 2011). The total Sherpa population was 154,622 in 2001 and it was recorded 112, 946 in 2011 that is decreased by 27%. However, Sherpa Association of Nepal has estimated at least half a million Sherpa people around the world. Now many densely populated and sizable Sherpa settlements are found in eastern Mountain region; and scattered settlements in many areas in Hill region in Nepal. Similarly, considerable numbers of Sherpa people are living in many countries including India, Europe, United States, Australia, New Zealand, England and many more. One of the good qualities of Sherpa people is, wherever they have to move and earn living, they are united and committed in preserving and promoting their cultural heritage. They are always aware and concerned about proper transmission of their cultural heritage based endemic knowledge to the younger generation. Majority of the Sherpa community believe in Buddhism and practices own religious and traditional various rituals, but they have high religious and cultural tolerance towards other communities. Due to the multilingual and multicultural social compositions, Sherpa people have been equally enjoying and participating in the various occasions and festivals of different religious and cultural communities. Sherpa is not only the name of the indigenous community but also the name of their language. The Sherpa people speak Sherpa language as their mother tongue. Though the Sherpa language belonging to the larger Sino-Tibetic language family is a preliterate language, it has multiple domains of use. As the Sherpa language is a marginally tonal language, it is best written and represented in Sambota Script (Watters, 1999). The Sherpa language is a unique language deeply ingrained from its rich culture and livelihood. The language has been evolved over thousand years in it’s own span and space resulting a considerable size of vocabulary (4000+ content words), and unique phrasal or and clausal structures (Sherpa, 2010). Brower, Barbara. 2003. Sherpa of Khumbu: People, livestock, and landscape. Delhi: Oxford University Press. Central Bureau of Statistics (CBS). 2001. Population census 2001: National report. Kathmandu: National Planning Commission. Central Bureau of Statistics (CBS). 2011. Population census 2011: National report. Kathmandu: National Planning Commission. Fisher, James F. 2003. Sherpas: Reflections on change in Himalayan Nepal. Delhi: Oxford University Press. Sherpa, Gelu. 2009. Sherpa Phonology and Orthography. Kathmandu: Sherpa Association of Nepal. Sherpa, Gelu. 2010. Sherpa-Nepali-English Dictionary. Kathmandu: Sherpa Association of Nepal. Kunwar, Ramesh Raj. 1999. Fire of Himal: An anthropological study of the Sherpas of Nepal Himalayan region. New Delhi: Nirala. Oppitz, Michael. 1974. Myths and Facts: Reconsidering some Data Concerning the Clan History of the Sherpa. Kathmandu: Kailash, Vol II No. I and II. Watters, Stephen A. 1999. “Tonal Contrasts in Sherpa.” In: Yadava & Glover (eds.). Topics in Nepalese Linguistics. Kathmandu: Royal Nepal Academy. 54-77.